【HIGH QUALITY】 Made of high quality aluminum alloy, suitable only for soft balls. Ideal for softballs, but not for hard baseballs. 【Fine and Solid Workmanship】 Each racket is perfectly balanced and undergoes strict controls to ensure a consistently high level of quality! 【CLEANER LOOK】 No annoying logo printing. Can also be used as an accessory for a cosplay. 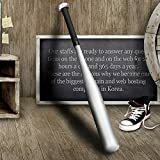 Playwell Martial Arts Black Polypropylene PLASTIC Full Contact Jungle Sword - 24.4"
Convince the baseball bat with a clean, clean look. Whether in the trunk or next to the bed: In many cases it is good to have a plan B within reach. 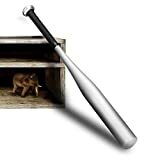 The TEPSMIGO baseball bat has a particularly high-quality anti-slip winding on the handle. ✔ Fits your Hand: TEPSMIGO Baseball Bat has a slender handle with anti-slip rubber grip. It's easy to carry and swing. 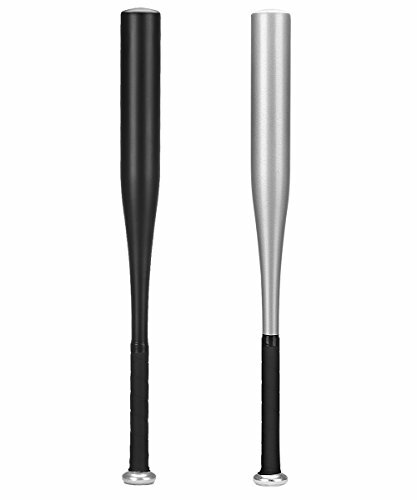 You don't need to worry about slipping the bat out of your hand because of its anti-slip wrap handle. ✔ High-Quality Bat: TEPSMIGO Baseball Bat is made of Aluminum alloy of high hardness, which makes it durable and long-lasting. then TEPSMIGO Baseball Bat is just right for you. It is made of a lightweight material, which allows you to play with maximum performance. 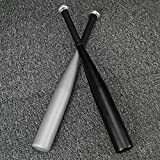 The baseball bat does not only train your arms, but also your back and abdominal muscles. 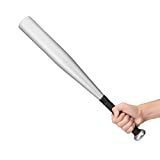 You can use this bat in a practice or training match; you can even use this for recreational purposes such as playing with your friends or loved ones. ✔ Fine and Solid Workmanship: The bat is perfectly made for both beginners and expert players. It has undergone strict protocols to ensure that it delivers a consistent and high-level quality performance to its user.